It happens not very often, but that is always nice - when someone send me an email - saying "thanks, for your nice vector clip contribution posted on Openclipart, I will use this clipart for my book / project / logo - how would you like to be credited ?" 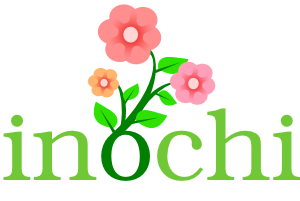 The last time it was this 3 flowers clipart - that a kind developer has merged with the word "Inochi" (which is the Japanese word for "life"). NB : All posts on Openclipart are Public domain - which mean that people using it doesn't even need to says anything to the "artist" - that's why I really appreciate those people who takes time to send a kind email such as this one.